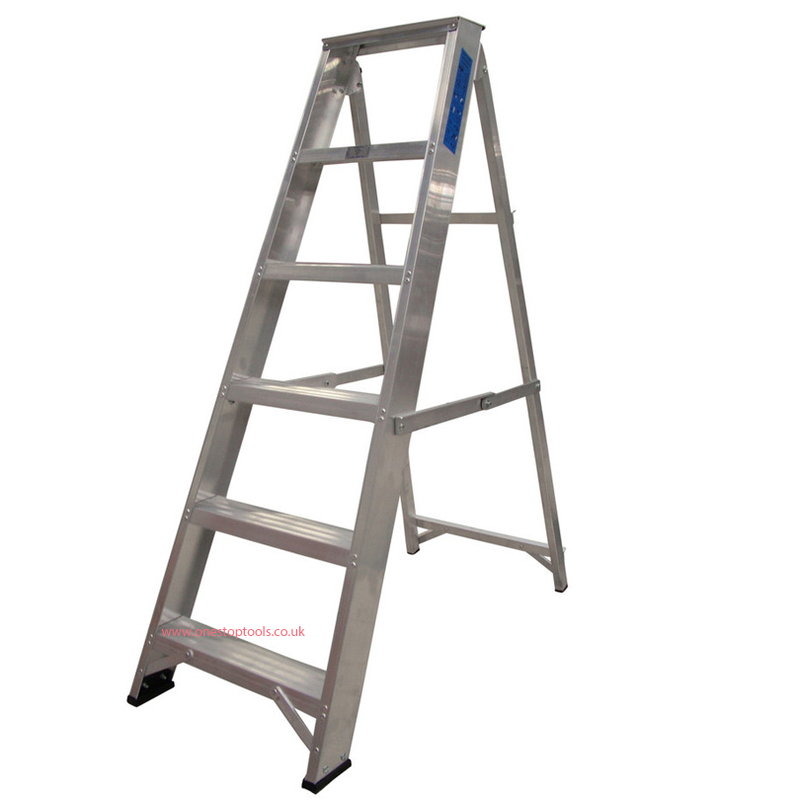 The swingback stepladder is a rigid box section back legs with additional cross braces. The "K" straps are for increased strength and stability. The stepladder has a plastic tray to hold any tools while you are working. This product is designed to be used in a more demanding and extreme industrial environment. This is a high quality product designed for heavy and frequent use.